This article was originally published on the Huffington Post on Friday, April 25th, 2014. But we're certainly trying to, by the looks of it. I know this from my work as an organizer in the climate movement -- because that's how I was doing it. That's how we all were doing it. Yesterday, I wrote a post on how 2014 is the defining year of the critical decade to act on climate. Today, I want to announce a new opportunity to engage in this year's defining climate policy fights: Climate Action Lab. "Oh, you must get such great scholarships!" "Wow! Have you ever been in a teepee?!" I have heard these things many times from curious onlookers to our culture, but these statements are so far from reflecting our reality as Oglala Lakota people. Being Oglala Lakota in the modern world is hard. Our reality is so far from the public narrative that defines us. When I first heard about the Tar Sands Action, I thought I would attend a rally or two to support the people joining the sit-in and risking arrest. I changed my mind and decided to join them after I researched the Keystone XL pipeline and saw a map of where the pipeline would be placed. If built, the Keystone XL will reach from tar sands in Alberta, Canada to oil refineries in the Gulf of Mexico. It will run from Montana to Texas and Louisiana. The people who will live near the pipeline will be the people who can’t afford to live farther away. They will be the ones too busy working multiple jobs and caring for their families to voice their concern to elected officials. Or, they will be the people who have already been disenfranchised by the political process. A lot of times, they will be communities of color. This protest is important to me for many reasons. 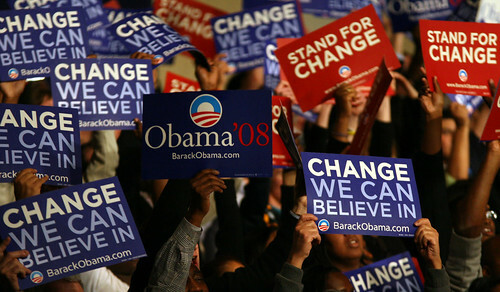 I was a field organizer on the Obama Campaign for Change in Lynchburg, Virginia. We were placed in unsafe conditions, such as when homeowners purposely unleashed their dogs to get canvassers off of their property. But that didn’t matter. We were determined to elect a progressive, climate-conscious president, and we would knock on as many doors as we had to in order to win that election. We wanted change we could believe in.